Never has a blowout victory been less emphatic. 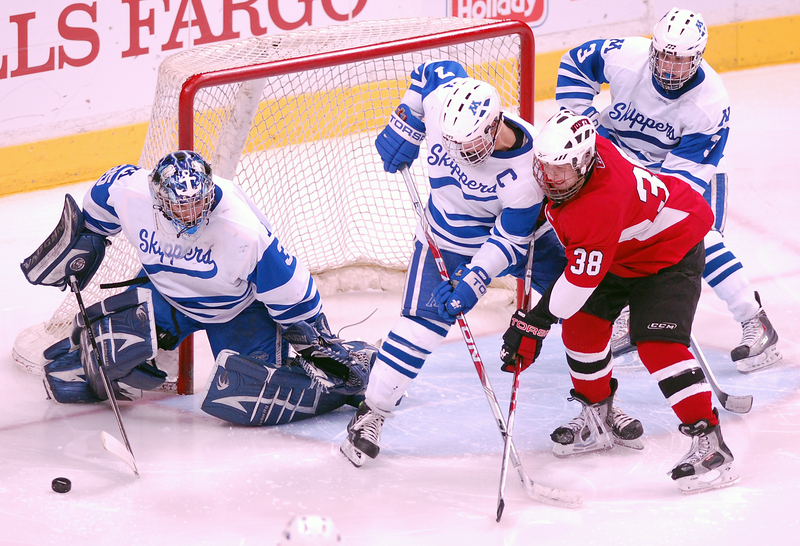 One of the greatest state tournament mismatches, on paper anyway, went about as expected, with No. 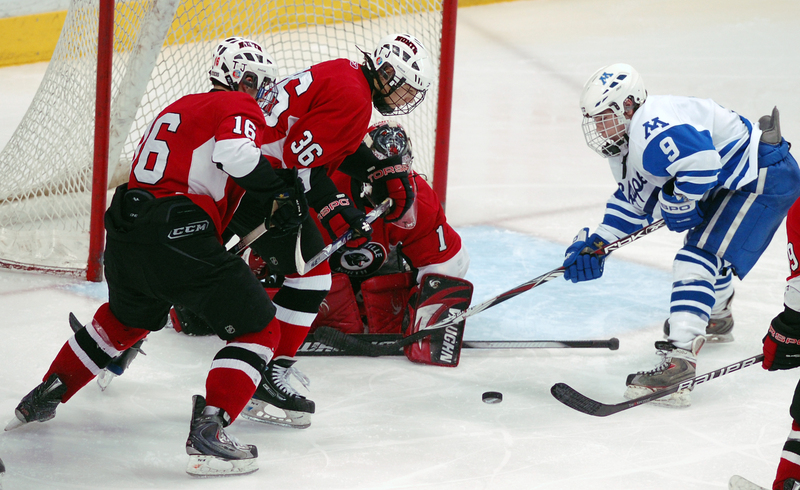 1-ranked Minnetonka handling Lakeville North 6-1 in the Class AA quarterfinals on Wednesday, March 11, at the Xcel Energy Center in St. Paul. 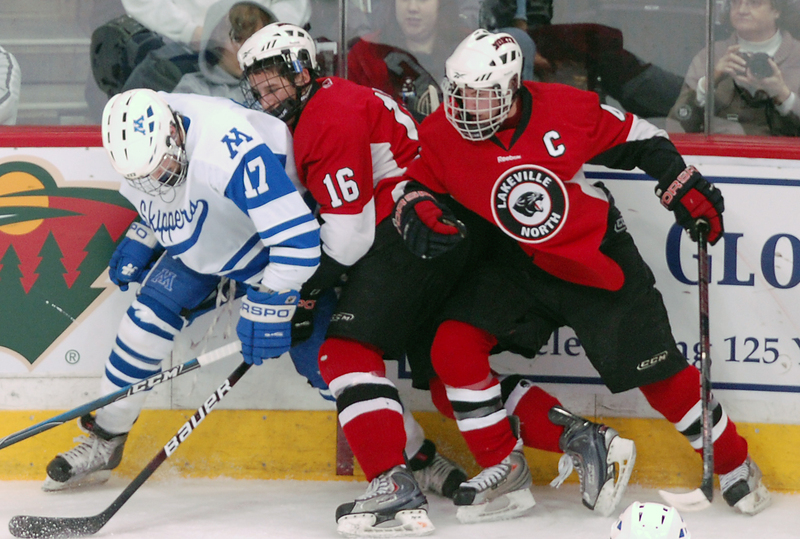 Strangely, though, among all the lopsided victories at this year’s tournament -- and there has been a puck bucket full of them -- this one wasn’t all that feel-good. 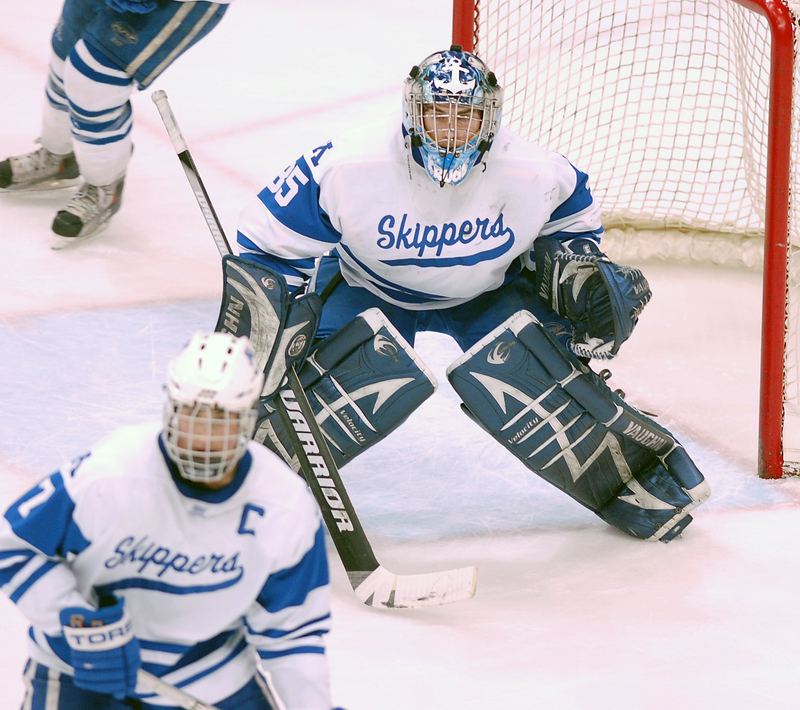 Matter of fact, Skippers coach Brian Urick didn’t like much of what he was seeing, and he let his players know about it from the bench. Afterward, he did some of lecturing in the locker room. 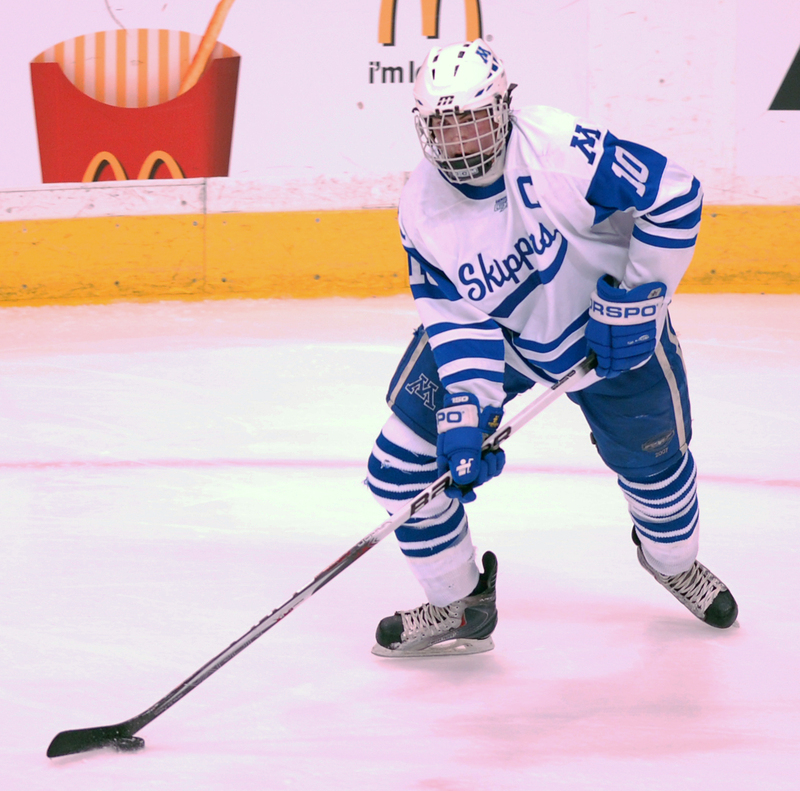 Urick was particularly unhappy with the chances his defenseman, generally considered one of the best defensive corps in state history, were taking at the blue line. 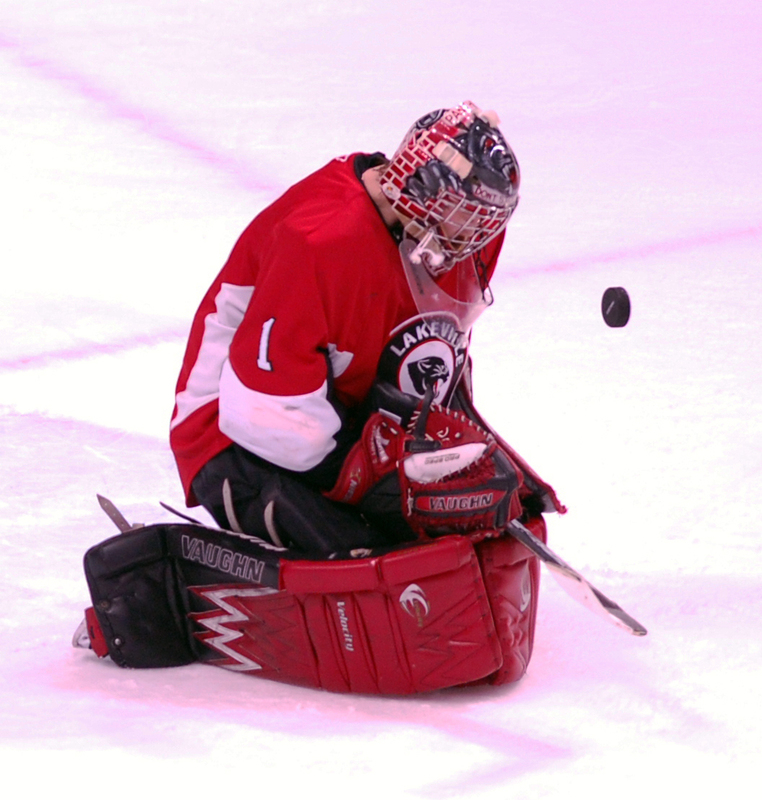 “We got caught a couple of times cheating to score in the second period that really hurt us,” Urick said. 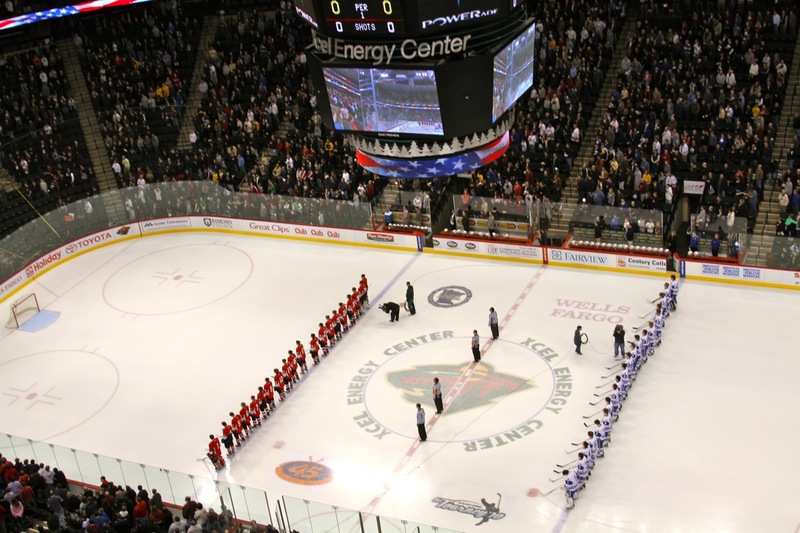 “It seems like I was yelling a lot tonight for our defensemen to get back. That last line, in reference to high-geared defensemen Andrew Prochno and Justin Holl, a Mr. Hockey finalist who had a goal and two assists, got a laugh out of the media contingent. But Urick clearly wasn’t pleased that his goaltender, Jim Kruger, was forced to make 29 saves, some of them in spectacular fasion. 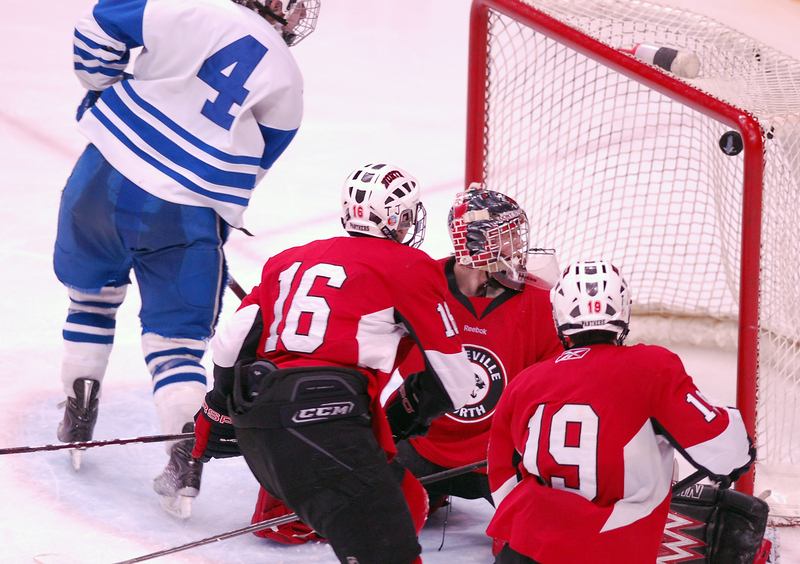 Urick said Lakeville North was credited with seven good scoring chances in the second period. 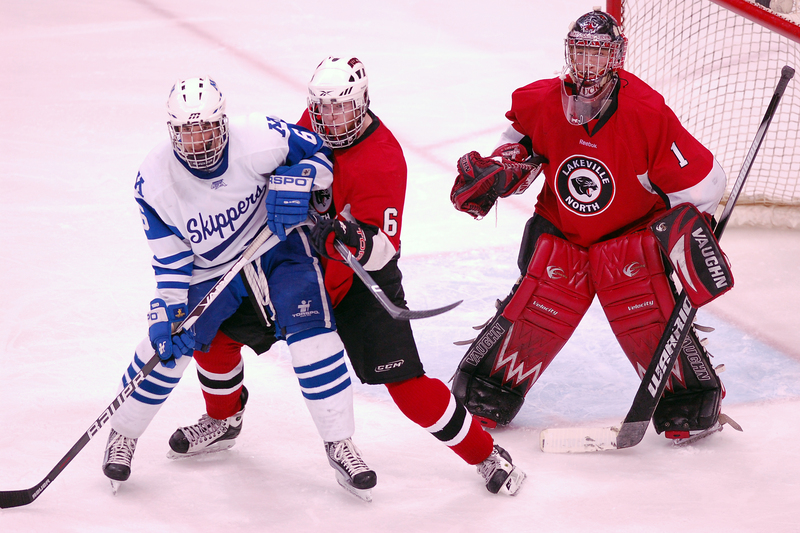 “We haven’t given up periods like that this year,” Urick said. 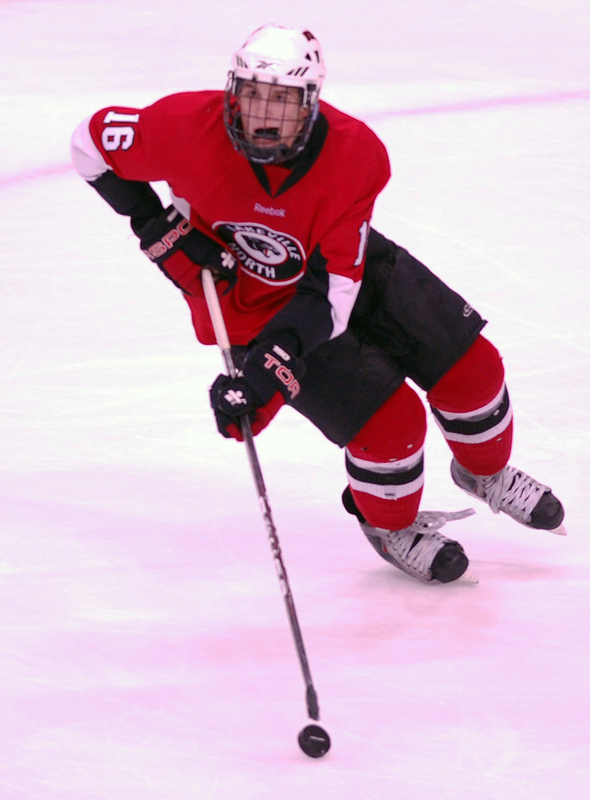 Oddly, it was a rushing defenseman who scored one of the game’s biggest goals. 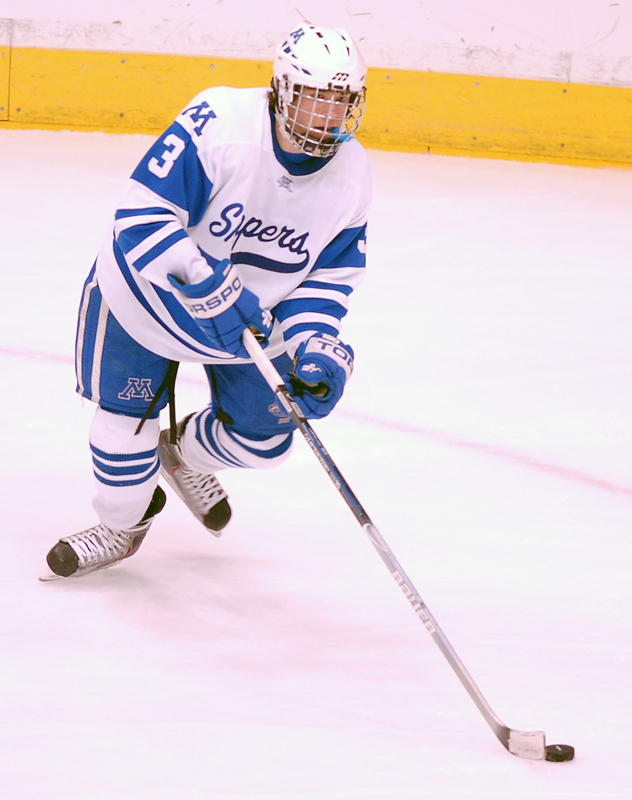 Early in the second period, Skippers senior Jake Rossman, who normally plays a stay-at-home style, took the puck in his own zone and, with open ice in front of him, started skating toward the Lakeville North net. 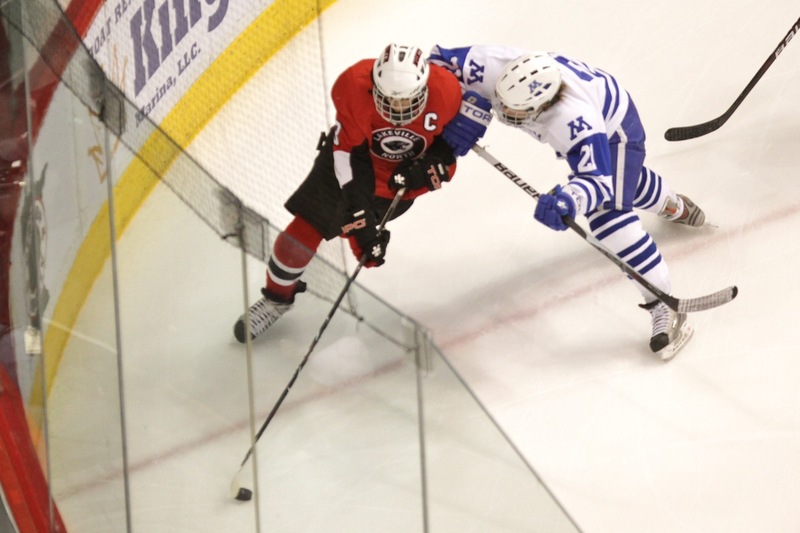 Rossman said he wasn’t too concerned he might incur the wrath of his coach. 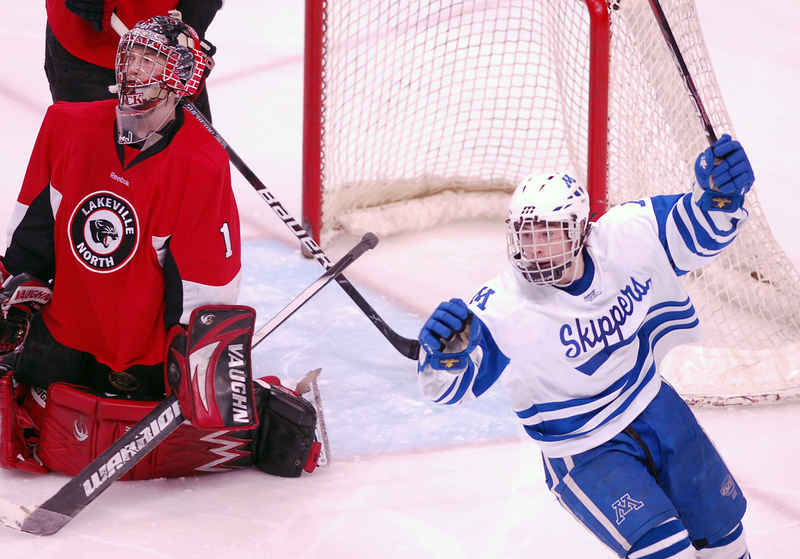 Rossman’s goal put the Skippers ahead 3-0 with 12:33 left in the second period. 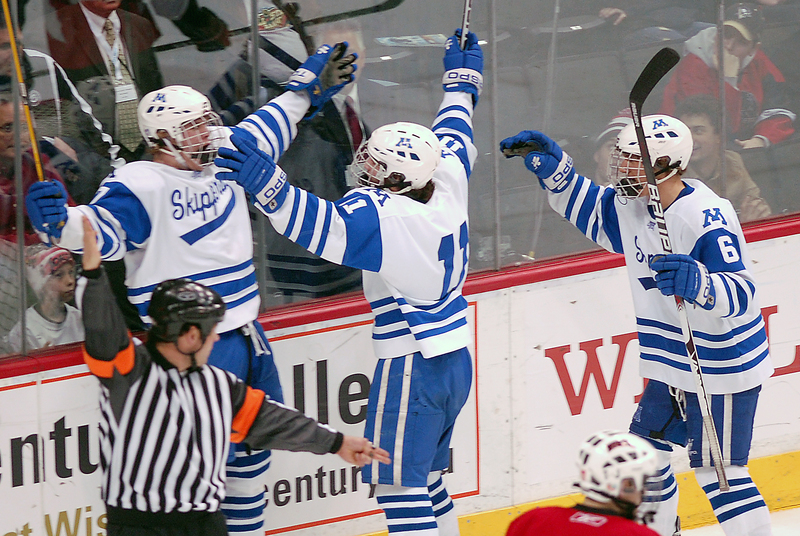 It turned out to be an important one because Lakeville North’s Brady Skjei scored about six minutes later to cut the Skippers’ lead to 3-1. 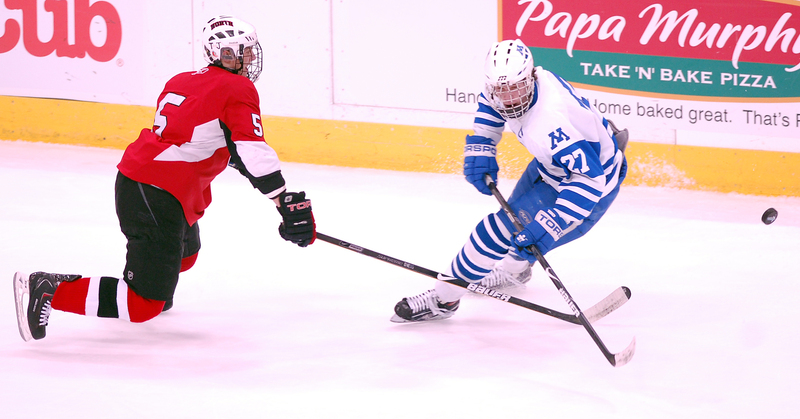 The top seed in the tournament, Minnetonka (26-1-2) also got a hat trick from its other Mr. Hockey finalist, Max Gardiner. 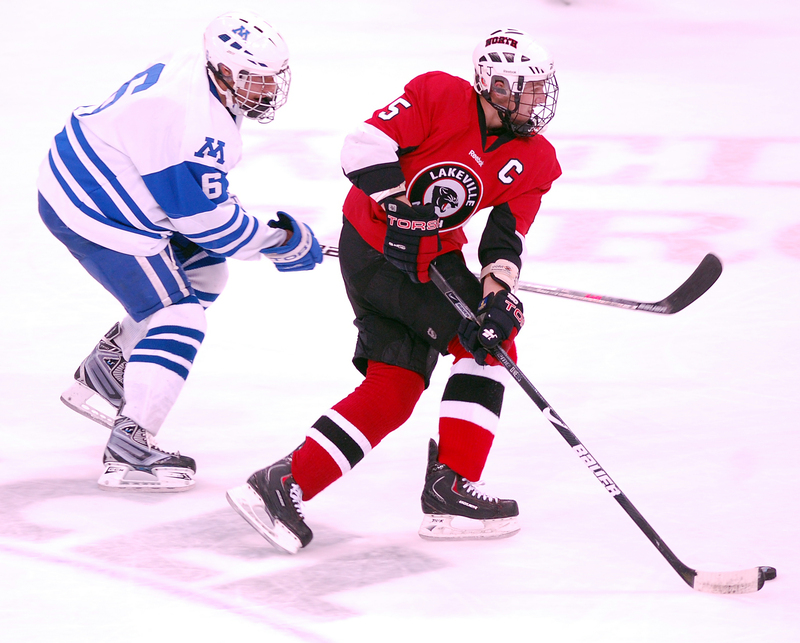 Senior forward and Mr. Hockey finalist scored two goals with deadly accurate shots over Lakeville North sophomore Charlie Lindgren’s glove hand, then added a third during the final few minutes on a power play. 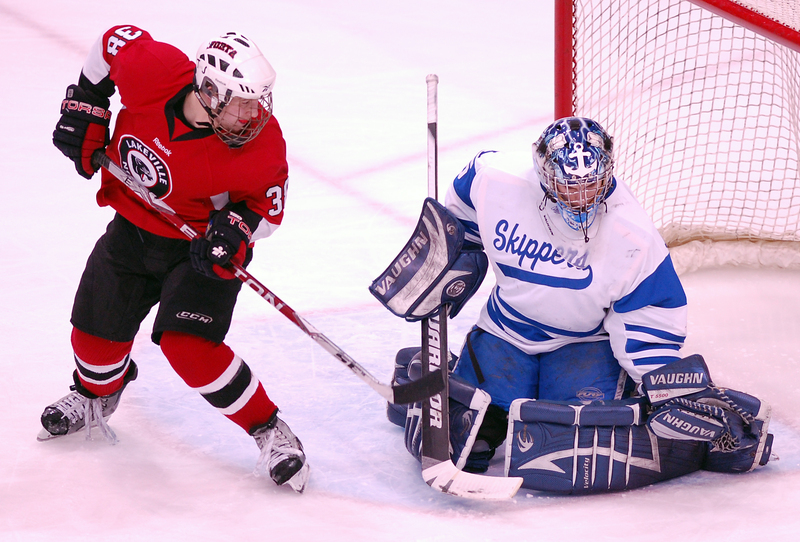 Skippers’ senior goaltender made one save while spinning like a top in the crease, and he finished with 30 saves, a surprising total in a game in which Lakeville North wasn’t expected to generate much offense. 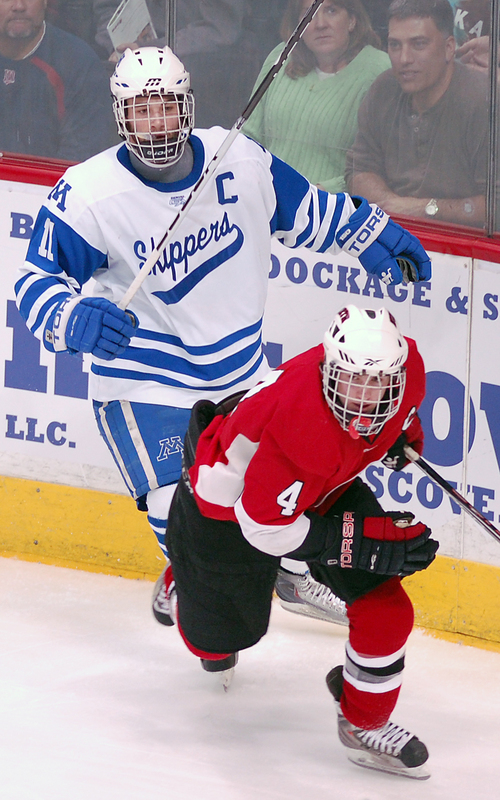 Yet another Skippers Mr. Hockey finalist, Holl had a goal and two assists and finished with a plus/minus rating of plus 4. 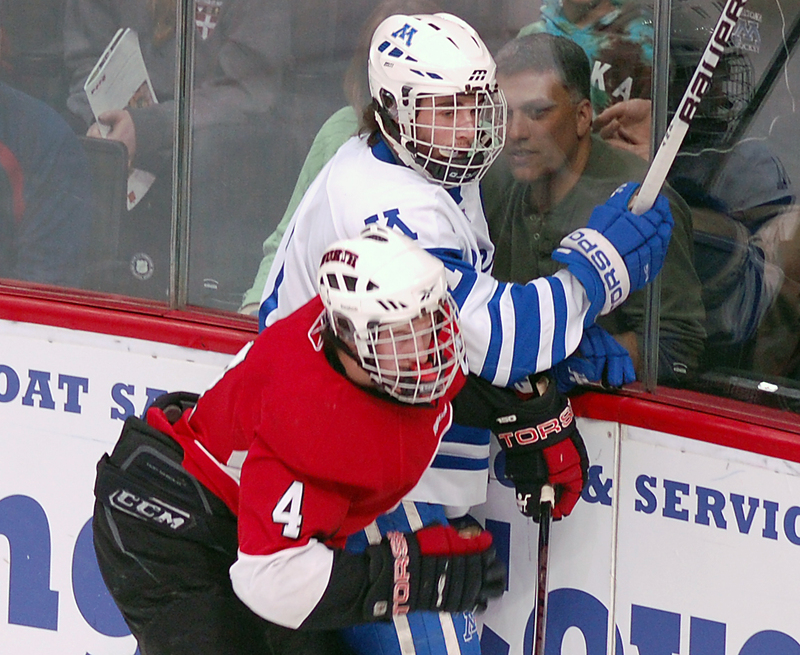 Lakeville North sophomore goaltender Charlie Lindgren got his signals crossed in the first period, interpreting a referees' icing call as a penalty on Minnetonka instead. 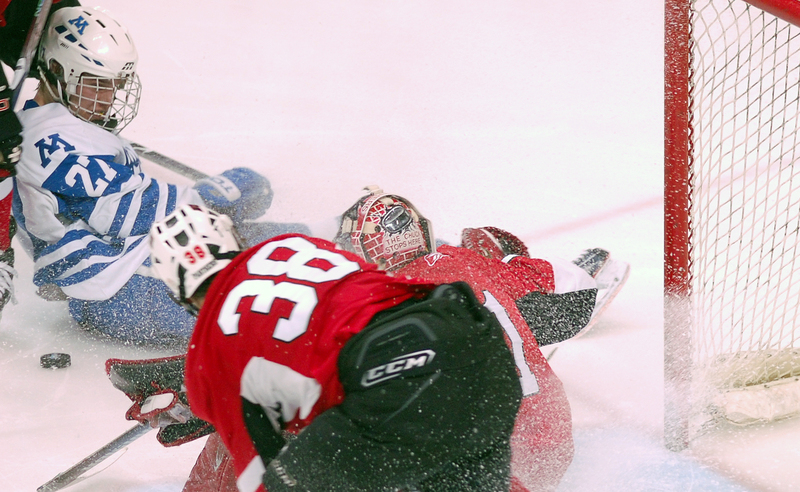 Lindgren was well on his way to the Panthers' bench when he realized there was no Skippers penalty, but was able to return to the goal with no harm done. 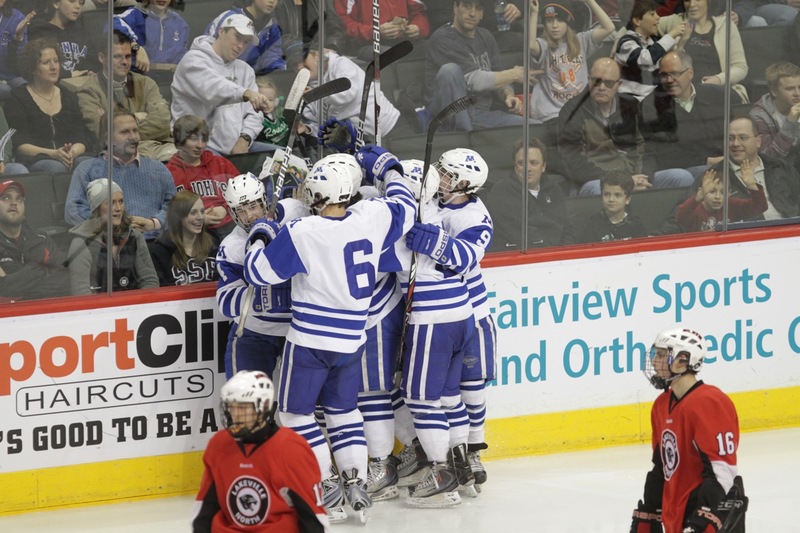 Minnetonka fans were able to employ one of their favorite cheers -- Mr. Hockey! 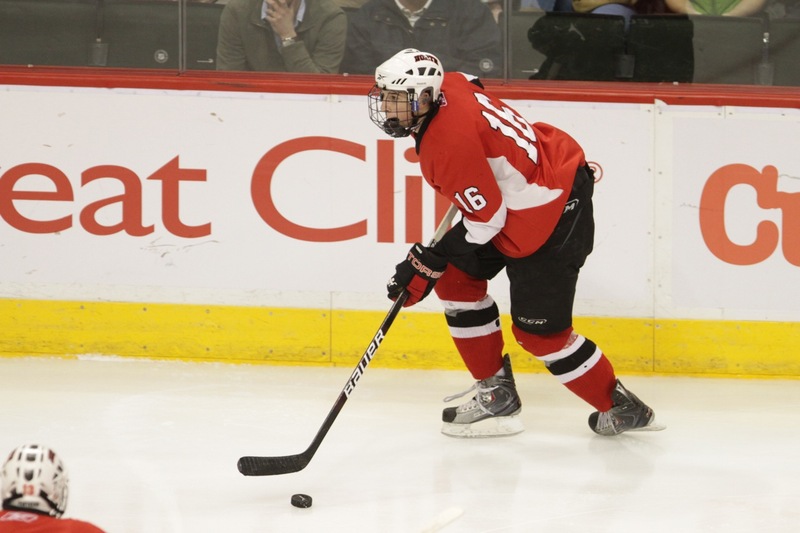 Mr. Hockey! 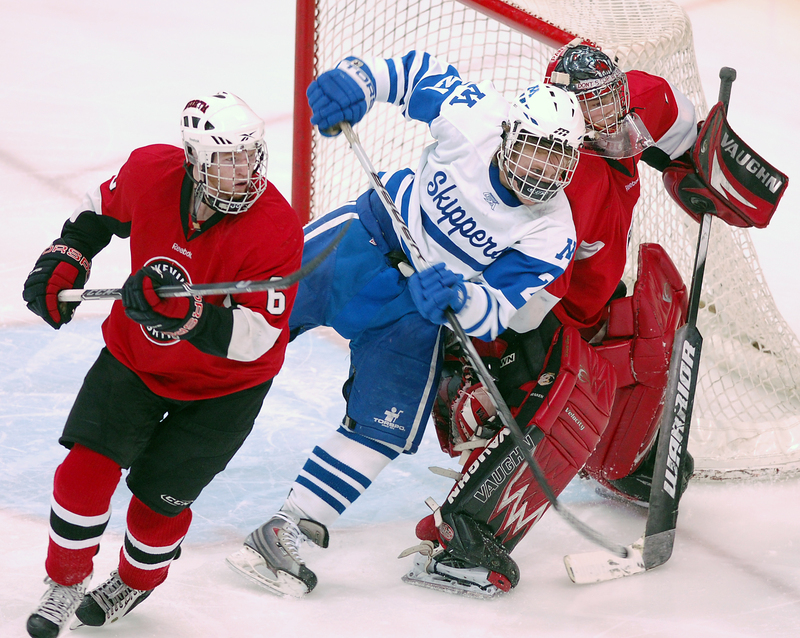 -- with vigor as both Justin Holl and Max Gardiner scored goals against Lakeville North. 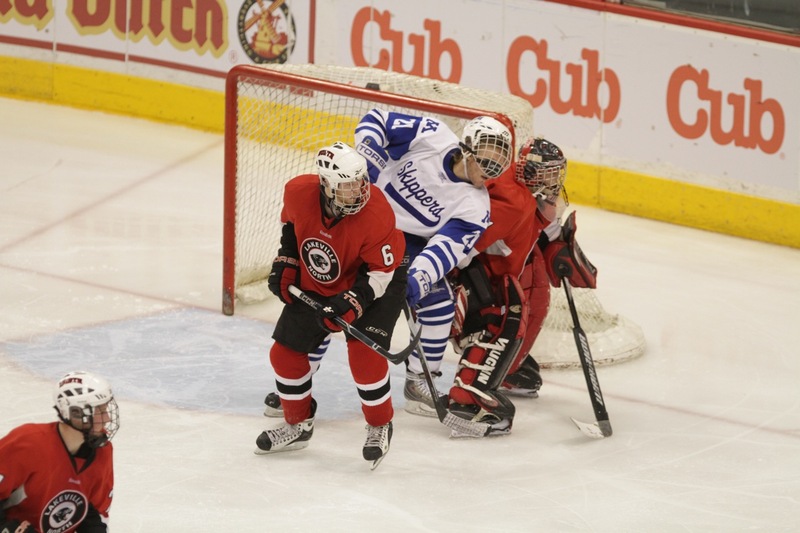 Gardiner, who scored hat trick, and Holl are two of the 10 finalists for Mr. Hockey, the award given annually to the state's top senior. 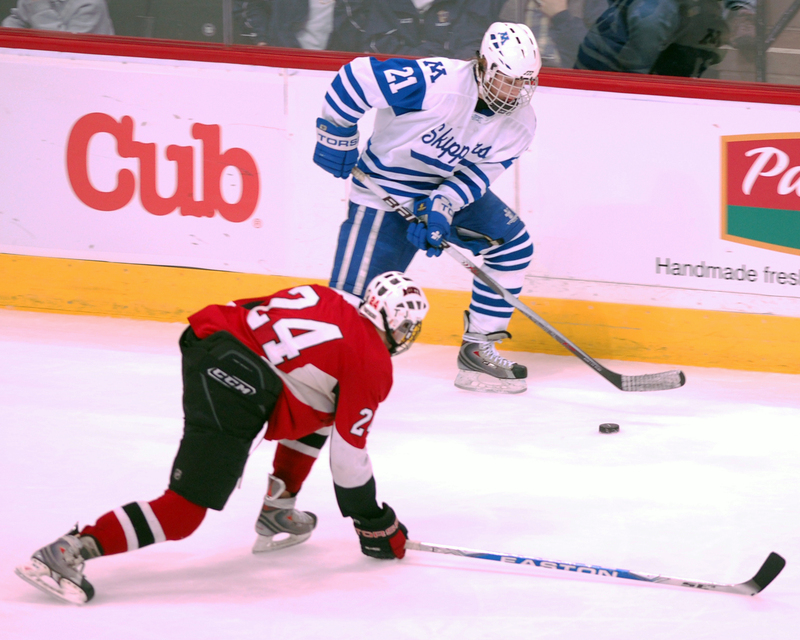 Gardiner scored two of his three goals by unloading rockets that sailed over Lingren's catching glove, and Jake Thornberg struck gold by putting the puck in the same spot. 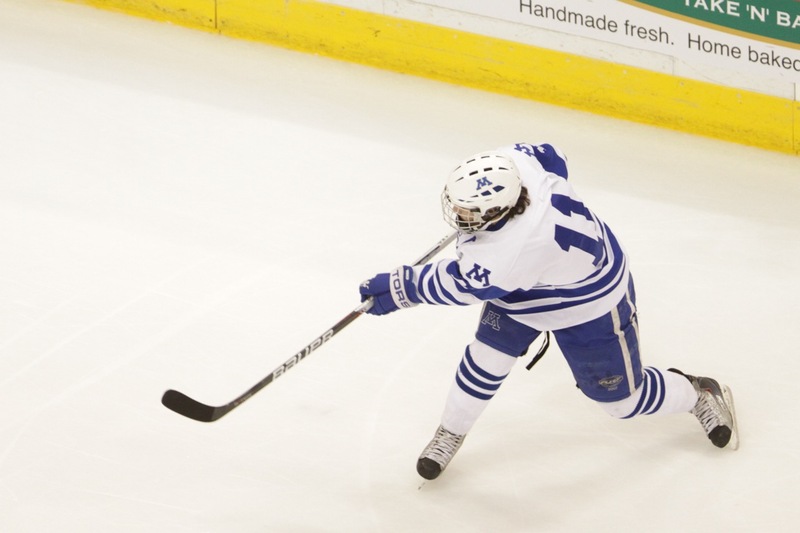 Gardiner, a Minnesota recruit, said there was no scouting report on Lindgren revealing a weakness high to his glove side. 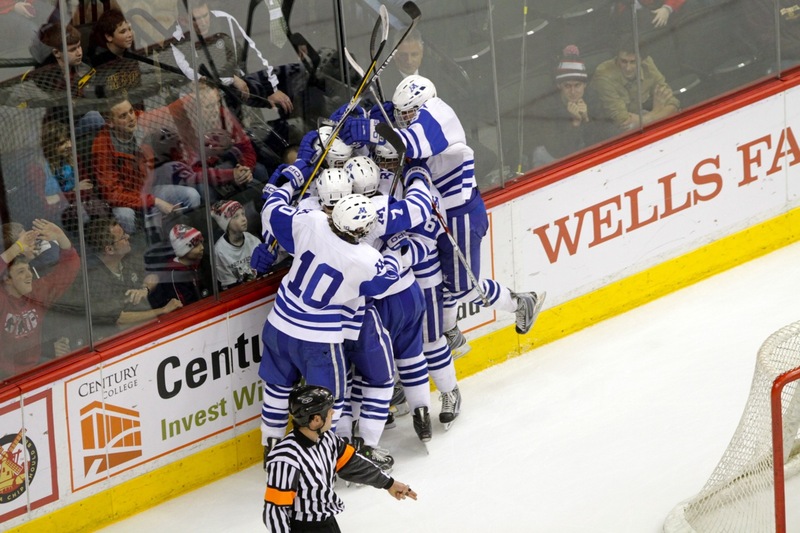 "It was just a coincidence," Gardiner said. 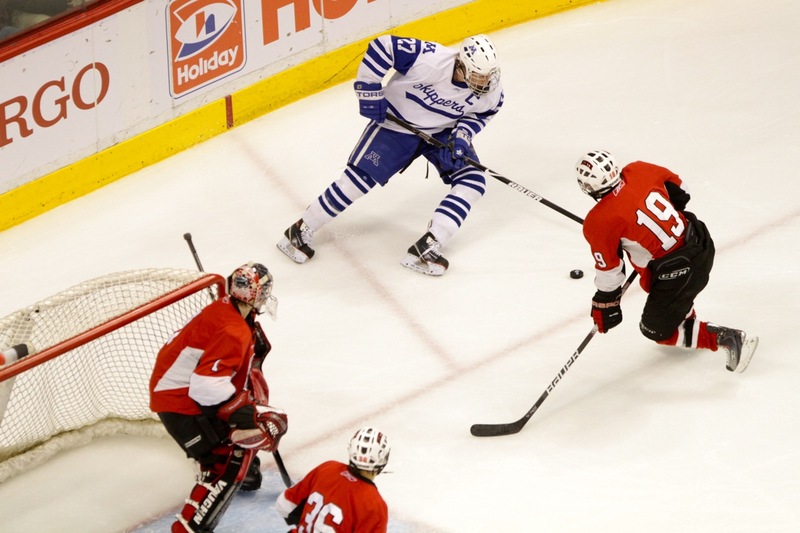 "Games like this, you just try to get the puck to the net and see if it goes in."